Mike is the founder and Managing Director of 24-7. 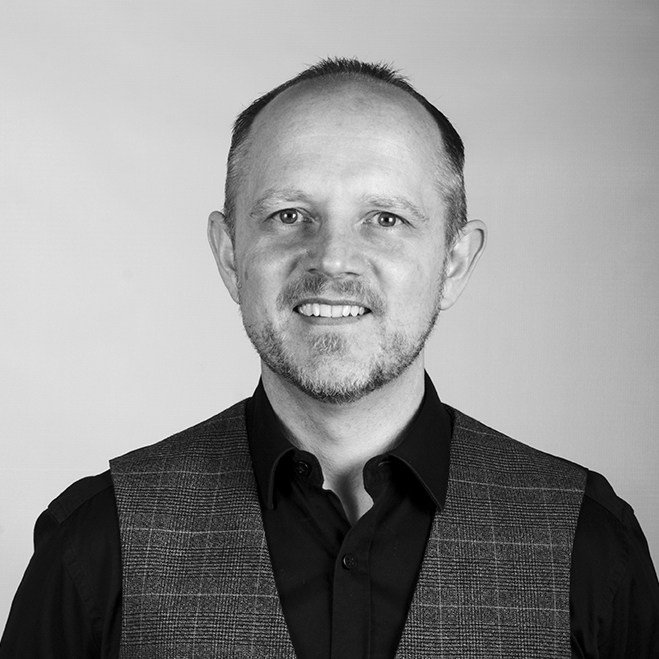 He pretty much knows every job inside out and with over 30 years’ experience in Marketing, he can get the job done no matter the timescale or size of the project. A recovering workaholic, the normal 9-5 isn’t Mike’s cup of tea. He prefers to get stuff done regardless of whether it’s morning, noon or night. Clients are consistently amazed by his dedication and he personifies the term 24-7. He does allow himself the odd box set from 9pm, however we think his wife Wendy might have a thing or two to say if he didn’t. A whisky man, Mike also enjoys spending time walking his and Wendy’s Schnauzers in the Cheshire countryside. Mike’s better half and company director, Wendy is the driving force behind the growth and promotion of the 24-7 brand. With a first-class joint honours degree in Business Management with Media Studies & IT, Wendy has both the practical and theoretical experience to keep projects on track and make sure they deliver great results for our clients. Creativity is at the forefront of everything she does and this compliments Mike perfectly. She’s not too fond of his work-related questions at 6 in the morning however… Wendy’s a lover of Gin, Prosecco and holidays with the girls, when she isn’t playing taxi service for her two boys Mackenzie and Brodie. Wendy is also passionate about animals and looking after her two dogs, Snookie and Harley. Away from the office, Bev is very family oriented and spends the majority of time with her husband Carl and sons Josh and Luke. She also loves reading, shopping and socialising. Lee is Elliot’s partner in crime. Dan, or Lloydy as he is known in the office, is one of our dynamic apprentices and he loves getting to grips with a challenge or two! Studying for a Higher National Diploma while he works at Solutions 24-7, he has an amazing can-do attitude to any project and is constantly impressing his colleagues. Although he was quiet to start with he has since come out of his shell and we’ve found that he’s fond of a well-delivered one liner or two. Quite a useful trait to have really seeing as he’s surrounded by comedians. Alongside Lloydy, Ella is our other tenacious apprentice, bringing passion and a creative flair to the company. Joining Solutions 24-7 from Priestley College where she completed A-Levels in Business and IT, Ella always gets the job done and can be relied upon to solve problems even if the deadline seems impossible. As well as Business, Ella loves performing and has appeared in numerous shows for theatre company Encore Productions. We think that’s one of the main reasons why she can sometimes be a drama queen…. Away from the stage she loves a trip to Nando’s and hitting the town with her friends. Emilie is one of Solutions 24-7’s team players. Not only does she manage a number of accounts but she’s also on hand to help with project work for other team members. There isn’t a client Emilie hasn’t kept happy and she’s also our Health and Safety Manager. Unfortunately that has meant no more wild parties on a Monday morning but you can’t win them all… Before joining Solutions 24-7, Emilie spent over 10 years as a Manager at various high street stores and also bagged a degree in Fashion & Marketing from the University of Newcastle. She’d probably like to be referred to as the Angel of the North but some stories would suggest otherwise. Out of work, Emilie can often be found looking after her 10 year old daughter and she also loves to travel. Dan is a senior member of the team and heads up the Digital arm of the business. He’s also one of our creative masterminds and loves making ideas come to life both in print and online. He’s a design dynamo, whipping up beautiful artwork, graphics and layouts for websites, marketing materials and full-blown event campaigns. What he doesn’t know about Illustrator, Photoshop, WordPress and After Effects isn’t worth knowing (his words not ours.) 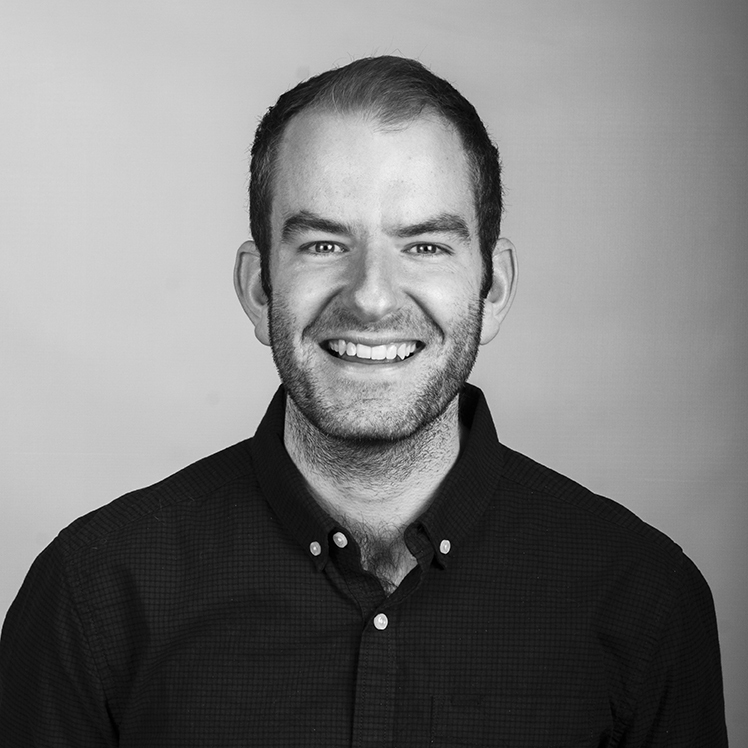 With over 6 years’ experience in Marketing, Dan has the knowledge, skills and creativity to create visuals that sell and capture the imagination. Outside of the office you’ll find him chilling with his dog Gus, playing the drums or throwing mindblowing shapes on the dancefloor; unfortunately his creativity isn’t just confined to the workplace! Richard is our PR and Media Relations Senior, overseeing communications for a number of clients with the aim of increasing their exposure. His copy is always a hit with audiences both in print and online, and he’s helped companies achieve national exposure through his perfect prose. Press releases, newsletters, radio scripts, web content and staff biographies – he can write them all. Away from the confines of the office, Richard can often be found watching football, running or enjoying a pint of real ale. He’s still trying to find a way of combining the three at once. Kat has brought enthusiasm and creativity to the office. Content is her cup of peppermint tea; SEO copy, blogging, social media, web articles – she knows how to interest the audience and keep them reading until the message sinks in. This is partly down to her English Language degree from the University of Lancaster and also thanks to our Chief Copywriter Richard, who may or may not be in charge of writing staff biographies. We also think she fancies herself as a bit of a presenter, after a number of roving video reports on Facebook achieved great exposure for a client. When Kat’s not being a wizard with words, she loves spending time with her family, going to the gym, reading and binge watching Netflix. After joining Solutions 24-7 in the summer of 2018, Luke quickly started to deliver results for our clients across a range of digital disciplines, making use of his Media Communications degree from Nottingham Trent University. Whether he’s perfecting a Pay-per-click campaign or whipping up a website, he’s always developing his skills. He’s not bad on the brew run either! Alongside Ben, Josh is our go-to for all things video and film related. He’s a strong believer in storytelling. Before you get to all the nice drone shots and clever editing, you need to have a good story. Having gallivanted around the world for the past two years on the cliche ‘gap yarh’, Josh has really found himself, building an impressive skillset along the way. He likes to post his travel stories on YouTube which has gained some traction and influences other people on where to visit. Don’t ask him about it though because you’ll never hear the end of it. Away from work you’ll still find Josh with a camera in his hand, shooting and creating. Jake, or ‘Magic Johnston’ as he has quickly become known, is a member of our media production team and brings a raft of digital skills to Solutions 24-7. With a mastery of animation, postproduction editing, filmmaking and photography, Jake enjoys nothing more than taking a project from concept to completion and wowing audiences through his work. With four years’ experience in creating content for the tourism industry, plus a comprehensive portfolio featuring work for television commercials, he’s a great addition to the team. When he’s not behind a camera, Jake enjoys climbing, gaming and a glass of warm milk – just don’t get him the red top version! It’s fair to say that Ben likes cameras. Still and moving images are his forte, and he consistently wows clients with his photography and videography. Events, products, installs, launches, advertisement campaigns – there’s nothing that Ben can’t film or photograph, although there are some things he’d rather not. He’s also a whizz on Adobe packages such as Premiere Pro, After Effects, Lightroom, Photoshop and Illustrator. Away from the office Ben is busy studying for an MSc in Science Communication, although he’s never mentioned it. To any members of staff. Ever. An outdoorsy type, he can be found running, climbing and hiking in his spare time and has the best excuse for skipping a Friday night out. SCUBA diving lessons. Darren is our Print Manager, in charge of applying the crucial final touches to jobs produced in-house. He has over 8 years’ experience in print production and management and what he doesn’t know about large and small format printing isn’t worth knowing. In fact, his extensive knowledge of all things print production and finishing can only be rivalled by his love of music, in particular Rock, Metal and Punk. He loves going to gigs and if you’re looking for him on a Friday or Saturday night you’re likely to find him at one! Phil is another one of our talented graphic designers and helps the marketing team bring their campaigns to life. Brand man through and through he’s worked with some of the biggest over the last 20 years and applies the same level of thinking to every job. No matter what the brief, he’s never short of an idea and being a light sleeper, he gets plenty of time to think through every brief thoroughly to ensure a top-notch creative execution. During the few hours he’s not sat at his computer, he enjoys attempting triathlons and has been known to run the odd marathon, although the term ‘run ‘ is used very loosely. Joe is a Graphic Designer, Artworker and Web Designer who excels in his attention to detail and excellent creative design ideas. He is an experienced, motivated and professional graphic designer with over 20 years in the industry. His experience includes branding, print design, creative artwork and he’s worked on various roles working on blue-chip accounts as well as an extensive list of freelance clients. He is friendly, personable, easy to work with and his goal is to deliver striking, effective, creative and professional solutions. In his spare time he likes playing sports such as football, golf and is currently in training for another triathlon, it may be his last although he’s said that before! His partying days are over and nowadays enjoys relaxing at home with the family, watching films or comedy and cheering on Stockport County!